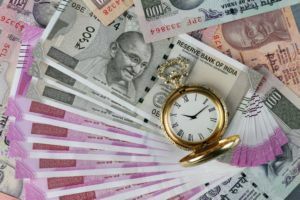 "The decision of the Central government to demonetize currency notes of Rs 500 and Rs 1,000 will adversely affect development and have long-lasting repercussions on economy," said Nitin Salve, a finance expert who graduated from London School of Economics. Salve was speaking on the 'Relevance of economic thoughts of Dr Babasaheb Ambedkar in the current demonetization scenario', organized by Ambedkar National Students Federation at Ambedkar Sanskrutik Bhavan, Gajanan Nagar, on Sunday. Rajeev Kamble, a lecturer at Institute of Management Technology, also shared his views with Salve. Present on the occasion was Harishchandra Sukhdeve. The purpose of the event, as stated by Salve and Kamble, was to make people understand the economy and how it functions . Salve said, "Ambedkar's economic theories have been proven right time and again whenever our economy has suffered." Talking about the global economic meltdown of 2008, Salve said, "Ambedkar had predicted this a long time ago and advised governments against deficit financing, saying it will have dire consequences." He also said, "There is no theoretical basis of issuing currency on fractional value of gold which is proving to be destructive for poor people." Salve said that everyone today is part of dissent that is brewing in the minds of people. "They are slowly becoming aware of the government's intention which is not in their best interests. This dissent will propel you forward," he said. Both Salve and Kamble rubbished the government's decision to demonetize 500 and 1,000 notes and opined that "It was an unnecessary move aimed at causing inconvenience to the public". Salve termed the event as 'remonetization'. According to them, taking such a large amount of money out of circulation has crippled the economy and will leave a lasting effect.